Today I’m wishing everyone a very happy July 4th! 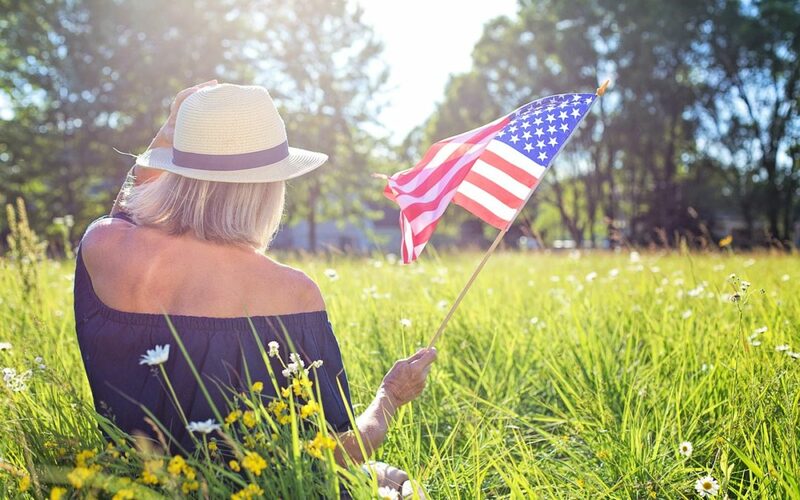 For this year, to make it even happier, I’m wishing everyone a true “day of independence” from what – for many of you, I’m sure – has been the ongoing, self-inflicted oppression of chronic self-sabotage. Why am I so sure that many of you sabotage yourselves? 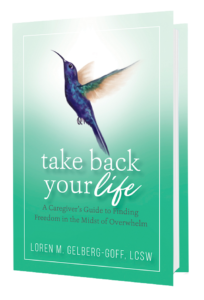 Because many caregivers are self-sacrificing by nature, and in the process of sometimes giving too much of yourself it’s just predictable. 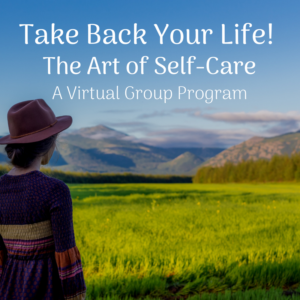 How many times have you “not gotten around to” taking care of yourself, or “run out of time to” run that errand or enjoy that leisure activity that was for you and you alone? That’s what self-sabotage looks like in practice. Today I encourage you to focus your thoughts, through this holiday and beyond, on how you can finally be FREE of self-sabotage as a pattern in your life. It IS possible, if you’re willing to face the reality of how your old habits are undermining you. The following excerpt from my new book will give you everything you need to know to begin identifying it when it happens, understanding it better, and interrupting the pattern in your life once and for all. until they are too heavy to be broken. How many times have you used busyness, or even addictive behavior, to cover up feeling inadequate, feeling not good enough? Are you smoking, drinking, overeating, undereating, constantly on the go, struggling with overwhelming busyness? How are you punishing yourself in that loop of nothing ever works? How many times have you heard yourself say, “Maybe next time will be different,” or, “Maybe next time they’ll see how much I do, or, If I can just make them see,” in your role as caregiver? The familiarity of failure: It’ll never work, and you’re just used to that. The illusion of being in control: You know what is going to happen if you do something and you live with the illusion, I got this. Chasing appreciation and recognition: You feel unworthy and always hope that Someday they’ll appreciate and recognize all I do for them. Martyrdom: You use this as an excuse for addictive, self-destructive behaviors, and it contributes to self-pity and feeling powerless to make changes. Drama: You always have a story to tell, a problem to solve, a challenge to overcome, and chaos which prevents dealing with life outside of caregiving. If you are used to any of these scenarios, think about how that makes you feel. Don’t form negative judgments; seek awareness and clarity. For example, if you feel like a martyr and people who know about your struggles feel sorry for you, think about what that means to you. Maybe they reach out to you with sympathy and, while that may not make the situation any better, you feel validated. You believe you matter, and on some level this feels comforting enough that you are motivated to keep seeking that response from others. And so the cycle of falling into the same painful pattern perpetuates. It doesn’t have to stay this way! There are ways to end this cycle of self-sabotage, and the first one is embracing the truth that you’re worth taking care of, first and foremost. Once you’re absolutely committed to living in that new reality, the behaviors to back it up can be learned, practiced and enhanced…to create the life of greater freedom, choices, options and empowerment that you’ve been wanting for so long. Also stay tuned for the start of the new TBYL group which starts both in Feb. and Sept., of course, feel free to leave your comments below. I look forward to hearing from you!